1 Open the Employees table table. Note that Tom Gumman and Tina Gumman are currently employees. 3 Click the Create tab. 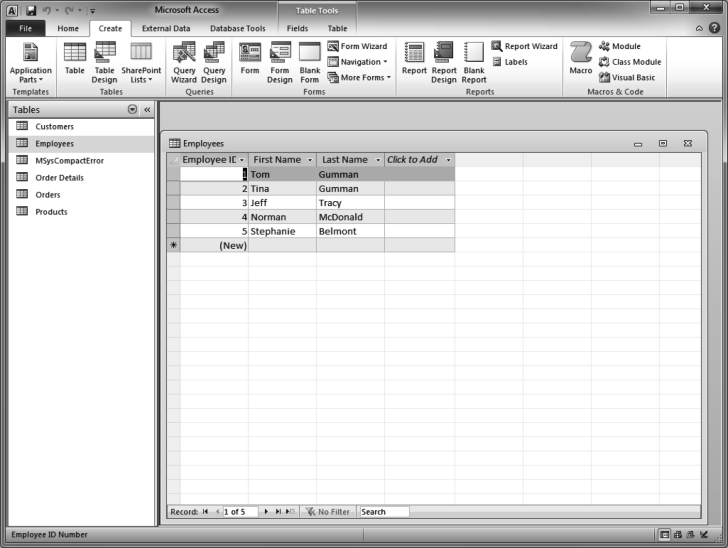 4 When the Show Table window appears, click Employees. 5 Click the Close button.